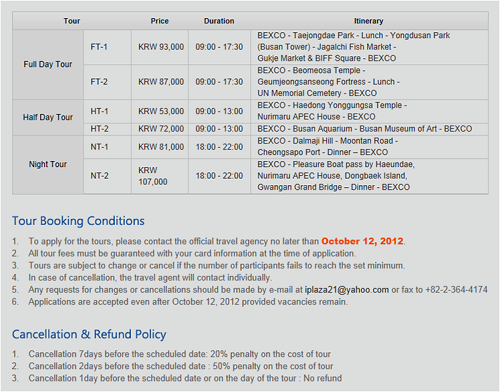 This tour information would provide participants, who visit Busan, an opportunity to find out Korean culture and site. If you want to sightsee, you can book and pay through an agency below. Before booking, I suggest you check out schedule and itinerary, as well as booking condition and cancellation and refund policy. Taejongdae Park is one of the most famous tourist attractions in this city. Featuring its highest peak at 250 meters, there are forests of pine trees and other 200 varieties of trees. what's more, there is Busan Tower of 120m high where you can see the magnificent view of Busan down town with the port. Jagalchi Fish Market is the symbol of Busan and the greatest fish market in Korea. You can see the lifestyle of the indigenous Busan natives while going around. Also, you can enjoy various seafood with its freshness according to your pocket. The temple named Beomeosa is located at the edge of Mt. Geumjeongsan, which is a famous mountain in the city. Roughly 1,300 years ago, it was built by monk Ui Sang in the 18th year of King Munmu (reign 661~681) of the Silla Kingdom. The original temple building fired several times but was renovated in 1713, which remains as it is now. The UN Memorial Cemetery in Korea honors UN soldiers from 16 countries that were killed in battle during the Korean War from 1950-1953. This serene park spreads across a grassy plain area of 135,000 m². Haedong Yonggungsa Temple is situated on the coast of the north-eastern portion of Busan. This temple is unusually located along the coast line whereas most Korean temples are in mountains. Annually, many tourist visit here because the sceneries around this temple is breathtaking. Dalmaji Hill is a small walkway between Songjeong Beach and Haeundae Beach. The coastal road, which is about 8km, is a famous for driving with beautiful cherry blossom and pine trees. In particular, the landscape, with the blue sea, sandy seashore, and pine trees, is beautiful enough to be the representative place of this area for a long time to come. In this evening, enchanting boat trip starts off at Haeundae’s Mipo Ferry Terminal and heads towards Oryuk-do Islets and the Igidae area, then returning to Mipo. The Oryuk-do Islets are made up of 6 small islands, which 5 are visible from the coast. There is no people living in the islets. The shores of Igidae are composed of breathtaking views of fantastically-shaped cliffs. This 1-hour boat trip offers very attractive views of Busan Harbor.